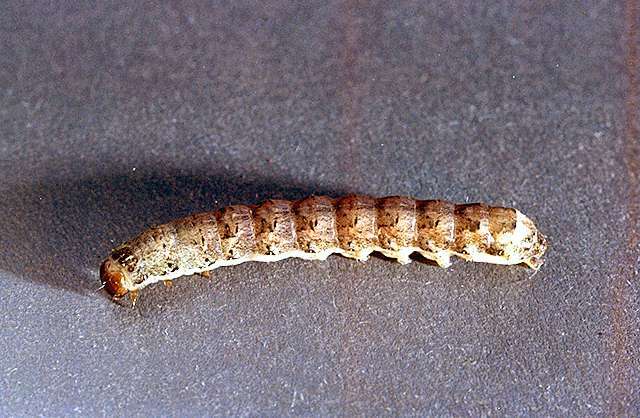 Pest monitoring The bertha armyworm is considered a "climbing cutworm" because it spends little time near the ground. 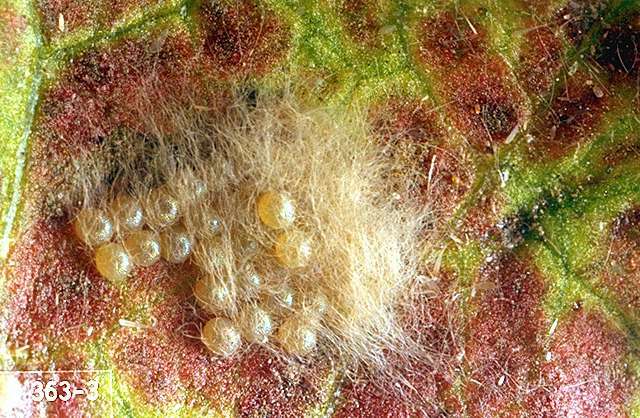 It can be easy to miss while scouting, because though eggs and young instars tend to be clustered, later in the year they disperse actively. 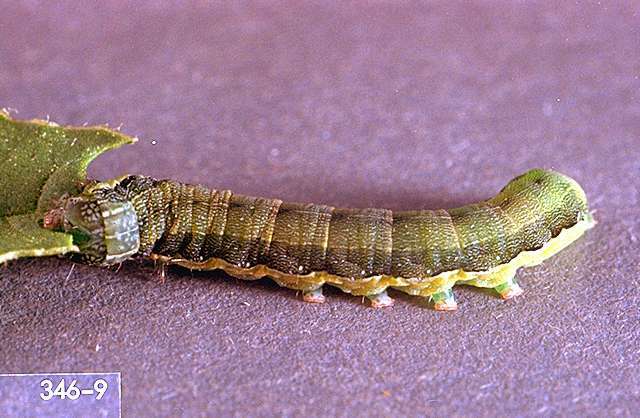 Larvae also tend to drop quickly from plants when disturbed, avoiding detection. 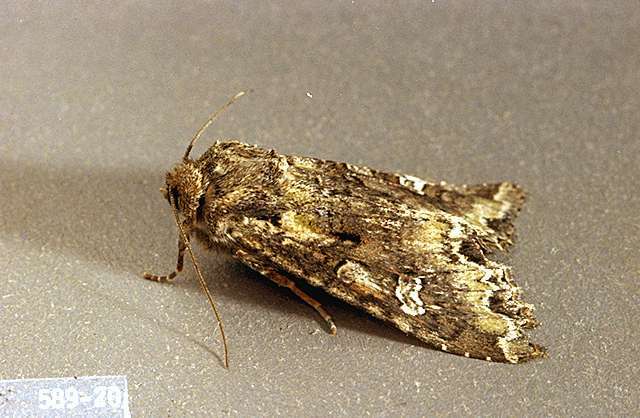 Populations can explode due to an influx of overlapping generations of migrating moths along with overwintering populations. Pheromone traps are useful for determining when major flights occur but not for predicting damage. A 5-minute timed search is useful in determining the need for treatment. 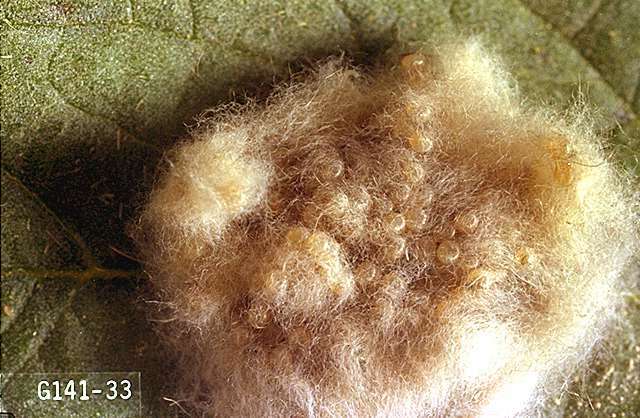 On average, if one or more larvae or egg masses are found in 5 minutes, treatments may be justified. 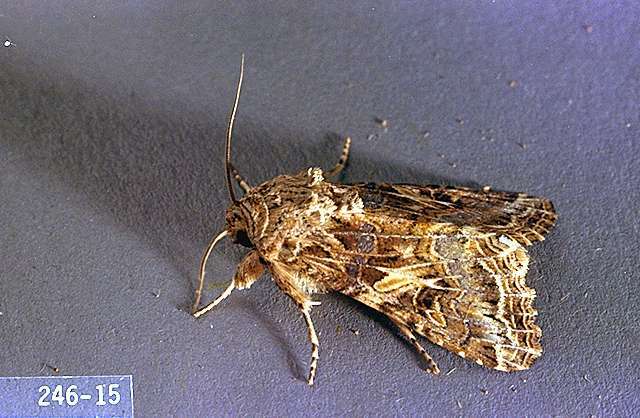 In those rare instances when control measures are required, the beet armyworm is more difficult to control than the western yellowstriped armyworm. 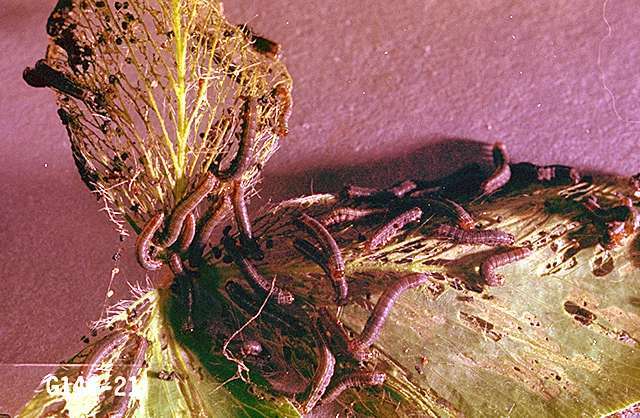 Insecticide applications are most effective if applied against small larvae. Common natural enemies of armyworms include several braconid and ichneumonid wasps, many general predators including assassin bugs, damsel bugs, and spiders, and a nuclear polyhedrosis virus, reported to have brought about excellent late year control in Canada. None of these natural enemies can be counted upon to achieve adequate control in any given year. Apply any one of these materials to the soil surface at first sign of cutworm activity. Consult label. Minimum preharvest interval (PHI) varies with crop. esfenvalerate-Do not use on Brussels sprout. plant essential oils (rosemary, etc. 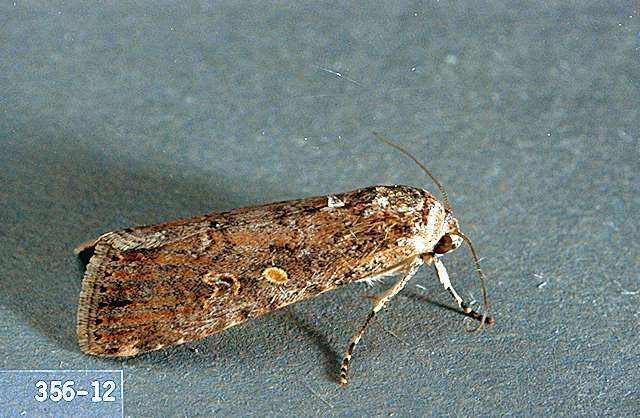 )-Some have demonstrated efficacy against lepidopteran larvae. Some formulations are OMRI-listed for organic use. Bacillus thuringiensis (Javelin) 0.12 to 1.5 lb/a. PHI 0 days. REI 4 hr. Slow acting. May need multiple applications. Add an appropriate spreader-sticker to enhance control. Most effective on small larvae. Some formulations are OMRI-listed for organic use. beta-cyfluthrin (Baythroid XL) at 0.019 to 0.025 lb ai/a. PHI 0 days. REI 12 hr. Retreatment interval 7 days. Do not exceed 0.1 lb ai/a per season. bifenthrin (Capture LFR) at 0.04 to 0.08 lb ai/a at planting in furrow or broadcast to soil surface. Do not exceed 0.1 lb ai/a per season at plant application. Refer to label instructions. bifenthrin/imidacloprid (Brigadier) at 0.06 to 0.095 lb ai/a. PHI 7 days. REI 12 hr. Do not exceed 0.24 lb ai/a imidacloprid and 0.24 lb ai/a bifenthrin as a foliar application. Retreatment interval 7 days. Maximum 5 treatments only after bloom. bifenthrin/zeta-cypermethrin (Hero) at 0.04 to 0.1 lb ai/a. PHI 7 days. REI 12 hr. Retreatment interval 7 days. Do not exceed 0.45 lb/a per season. Limit 5 applications after bloom. borate complex (Prev-Am Ultra) at 0.4% solution. REI 12 hr. Spray to complete coverage. Retreatment interval 7 days. OMRI-listed for organic use. carbaryl (Sevin 4F, Sevin 5 Bait) at 1 to 2 lb ai/a foliar or 2 lb ai/a as bait. PHI 3 days. REI 12 hr. Retreatment interval 7 days. Do not exceed 6 lb ai/a per crop. Limit 3 bait treatments per year. chlorantraniliprole (Coragen) at 0.045 to 0.098 lb ai/a at planting; via drip irrigation; as foliar. PHI 3 days. REI 4 hr. Retreatment interval 3 days for foliar and 10 days for drip. Do not exceed 0.2 lb ai/a per season. Consult label for details. chlorantraniliprole/lambda-cyhalothrin (Voliam Xpress) at 0.059 to 0.088 lb ai/a. PHI 3 days. REI 24 hr. Retreatment interval 5 days. Do not exceed 0.18 lb ai of lambda-cyhalothrin or 0.2 lb ai of chlorantraniliprole per acre per growing season. chlorpyrifos (Lorsban 75WG) at 0.5 to 1 lb ai/a. PHI 21 days. REI 24 hr (3 days for cauliflower). Do not exceed 3 treatments per season. Retreatment interval 10 days. chlorpyrifos/gamma-cyhalothrin (Cobalt) at 0.38 to 0.76 lb ai/a. PHI 21 days. REI 24 hr. Limit 3 applications of chlorpyrifos products. Retreatment interval 10 days. Do not exceed 2.25 lb ai/a per year. Brussels sprout only. cryolite (Kryocide) at 7.7 to 15.4 lb ai/a. PHI 7 days for broccoli, cauliflower, and Brussels sprout, and 14 days for cabbage. REI 12 hr. Do not exceed 92 lb ai/a per season. OMRI-listed for organic use. cyantraniliprole (Exirel) at 0.045 to 0.088 lb ai/a. PHI 1 day. REI 12 hr. Retreatment interval 5 days. Limit 6 treatments per year. Do not exceed 0.4 lb ai/a per year. cyclaniliprole (Harvanta 50SL) at 0.036 to 0.054 lb ai/a. REI 4 hr. PHI 1 day. Retreatment interval 5 days. Limit 3 treatments per crop. Do not exceed 0.22 lb ai/a per year. Some restrictions on application timing. cypermethrin (Holster) at 0.075 to 0.1 lb ai/a. PHI 1 day. REI 12 hr. Retreatment interval 7 days. Do not exceed 0.6 lb ai/a per season. emamectin benzoate (Proclaim 5SG) at 0.008 to 0.015 lb ai/a. PHI 7 days. REI 12 hr. Retreatment interval 7 days. Do not exceed 0.09 lb ai/a (28.8 oz/a) per season. Do not allow livestock to graze in treated areas. esfenvalerate (Asana XL) at 0.03 to 0.05 lb ai/a. PHI 3 days. REI 12 hr. Do not use on Brussels sprout. Do not exceed 0.4 lb ai/a per year. fenpropathrin (Danitol) at 0.2 to 0.3 lb ai/a. REI 24 hr. PHI 7 days. Do not exceed 0.8 lb ai/a per season. gamma-cyhalothrin (Declare) at 0.01 to 0.015 lb ai/a. PHI 1 day. REI 24 hr. Do not exceed 0.12 lb ai/a per season. Effective on first and second instar. Toxic to bees. indoxacarb (Avaunt) at 0.065 lb ai/a. PHI 3 days. REI 12 hr. Use of wetting agent recommended. Retreatment interval 3 days. Do not exceed 0.26 lb ai/a per year. lambda-cyhalothrin (Warrior II) at 0.02 to 0.03 lb ai/a. PHI 1 day. REI 24 hr. Retreatment interval 5 days. Do not exceed 0.24 lb ai/a per year. lambda-cyhalothrin/thiamethoxam (Endigo ZC) at 0.064 to 0.072 lb ai/a. PHI 1 day. REI 24 hr. Retreatment interval 7 days. Do not exceed 0.24 lb ai of lambda-cyhalothrin or 0.172 lb ai/a of thiamethoxam per season. methoxyfenozide (Intrepid 2F) at 0.06 to 0.12 lb ai/a for early-season application; at 0.12 to 0.16 lb ai/a for mid- to late-season application or heavy infestation. PHI 1 day. REI 4 hr. Adding adjuvant improves performance. Do not exceed 1.0 lb ai/a per season. novaluron (Rimon EC) at 0.039 to 0.078 lb ai/a. PHI 7 days. REI 12 hr. Retreatment interval 7 days. Do not exceed 0.156 lb ai/a per season. permethrin (Loveland Permethrin Cutworm bait) at 0.05 to 0.1 lb ai/a (cauliflower and Brussels sprout) and 0.01 to 0.2 lb ai/a (broccoli and cabbage). PHI 1 day. REI 12 hr. Do not exceed 0.8 lb ai/a on broccoli, cauliflower, and Brussels sprout and 1 lb ai/a cabbage per season. permethrin (Permethrin) at 0.05 to 0.2 lb ai/a broccoli, cauliflower & Brussels sprout or 0.1 to 0.2 lb ai/a for cabbage. PHI 1 day. REI 12 hr. Retreatment interval 5 days. Do not exceed 0.8 lb ai/a on broccoli or 0.4 lb ai/a on Brussels sprouts, cabbage and cauliflower per season. spinetoram (Radiant SC) at 0.039 to 0.078 lb ai/a. PHI 1 day. REI 4 hr. Retreatment interval 4 days. Do not exceed six applications or 0.266 lb ai/a per season. Do not apply to seedling cole crops grown for transplant within a greenhouse, shade house, or field plot. spinosad (Success, Entrust SC) at 0.06 to 0.16 lb ai/a. PHI 1 day. REI 4 hr. Treat eggs at hatch and small larvae. Do not exceed three times in a 30-day period. Do not exceed 0.45 lb ai/a or six applications per crop. Entrust SC is OMRI-listed for organic use. tebufenozide (Confirm 2F) at 0.09 to 0.12 lb ai/a early year; 0.12 lb ai/a mid to late year. PHI 7 days. REI 4 hr. Do not exceed 0.84 lb ai/a per year. Retreatment interval 10 days. Use of a surfactant is recommended.